We are proud to be an Official Partner of the pioneering Creative School Engagement Project at Art Night London 2016 - London’s first night-time arts festival. Keyworth Primary School, Kennington, South London, has a high proportion of students on free school meals, from low-income households, and who speak English as a second language. Some have never ventured outside South London. 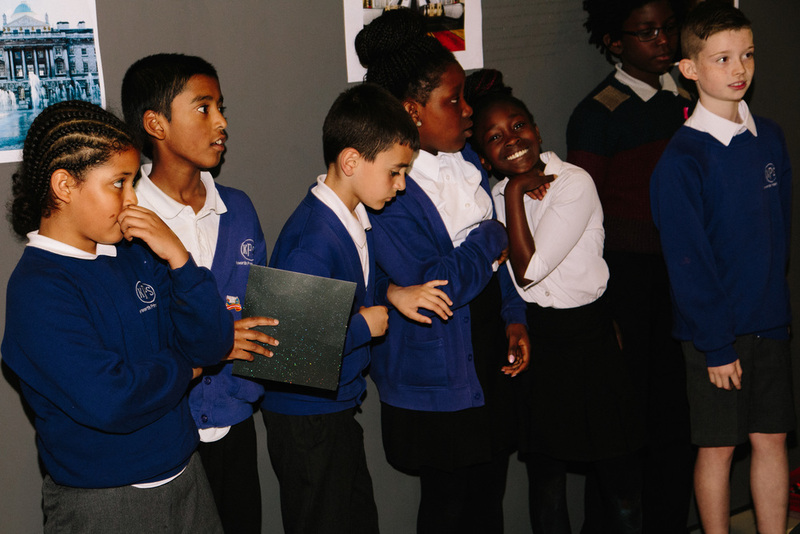 On 1 July 2016, 77 children from Keyworth Primary School enjoyed a specially curated programme at Art Night London. 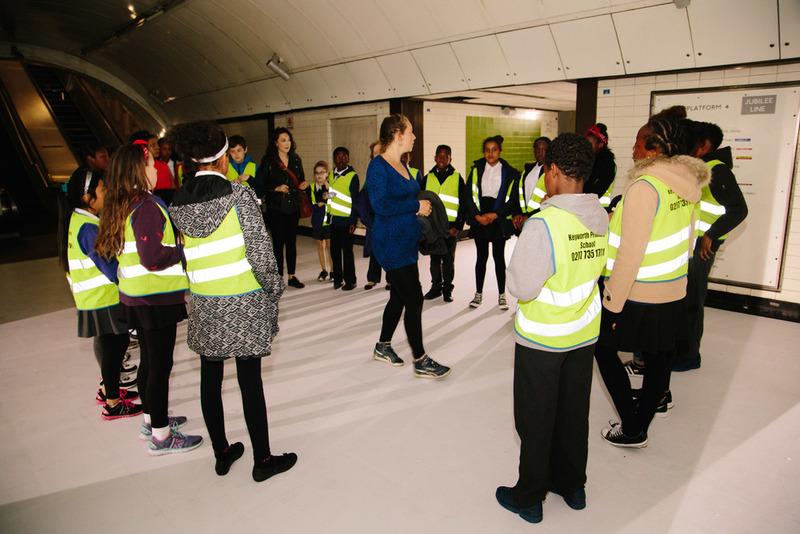 ArtSocial Foundation, as an Official Partner of Art Night's outreach project, helped the children experience a series of adventures through art, giving them confidence to explore and feel at home in new parts of London. The day began at the disused Jubilee-line platform at Charing Cross and the multi-sensory installation by Korean artist Koo Jeong A. The station was lit and filled with a thick perfume. As the children engaged with the art, they were curious and inquisitive about the station’s past and present uses. The next stop was Trafalgar Square. Many of the children had never seen one of London’s most famous landmarks before. Once again, art was the way they interacted with the city’s history and architecture. 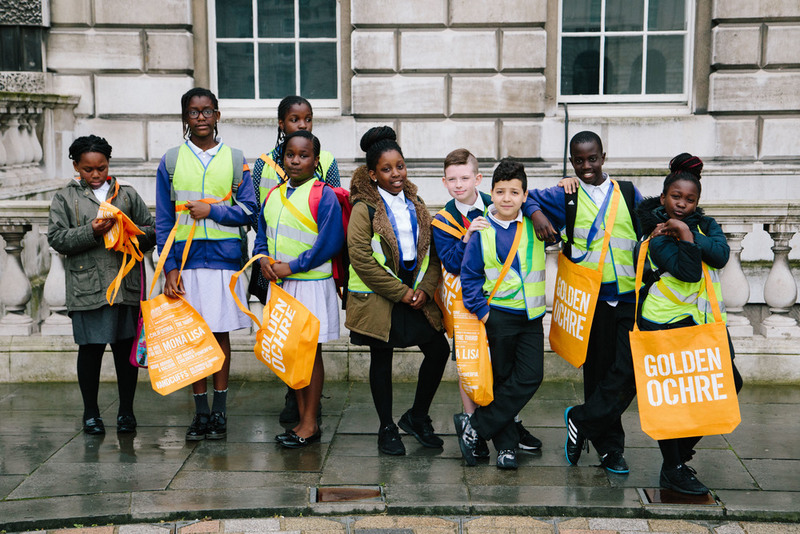 In the afternoon they headed to Somerset House for a creative workshop led by artist and educator Ella Medley-Whitfield. The children responded to what they had seen through art, building, drawing, and talking to each other amid their impressive surroundings. The follow-up evaluation of the project and conversations with Keyworth school teacher have shown what a huge impact art can have on the development of children, building their self-esteem and sense of belonging, helping them to acquire new skills, and piquing their interest in history and culture.